Finding your life purpose should not be hard! Find it the easy way. The last time we spoke things got a little rough for me but needless to say I am back and better than ever. Luckily, I was able to restore all the data from my laptop and getting every device that decided to turn on me back in line. Although I was able to recuperate everything, a part of me fell in love with starting fresh. You may have noticed some things are a little different looking around solballard.com. Isn’t it funny how things workout at the end? This post is dedicated to you and your purpose in this world. Here’s the thing: You are not supposed to have it all figured out by now. Telling yourself otherwise is denying yourself of the opportunity to really live. Life is an adventure. It’s messy. It’s fun. It’s a life long exploration. I know that not knowing what you are supposed to be feeling can make you feel stuck, but know that things don’t happen by sheer coincidence. 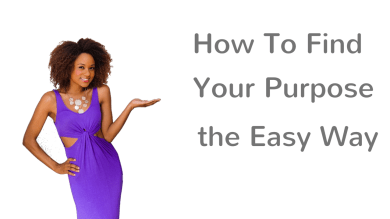 Here is my quick-n-easy 00:01:50s mini blurb on how to take baby steps forward to finding your purpose in a way that is fun and easy for you to do. The key is not to overthink it. The answer is already in front of you. Now take the gold and make something beautiful with it. Take action now by getting the conversation started in the comments below and letting me know what it is that makes you feel alive!